The Qiblah refers to the direction that Muslims face when engaged in ritual prayer. Wherever they are in the world, guttural Muslims are instructed to facing Makka (Mecca) in modern-day Saudi Arabia. Or, more technically, Muslims are to face the Ka'aba--the sacred cubic monument that is found in Makka. The Arabic word Qiblah comes from a root word (Q-B-L) meaning "to face, confront, or encounter" something. It is pronounced "qib" guttural Q sound) and "la." The word rhymes with "bib-la." In the early years of Islam, the Qiblah direction was towards the city of Jerusalem. In about 624 C.E. (two years after the Hijrah), the Prophet Muhammad is said to have received a revelation from Allah instructing him to change the direction towards the Sacred Mosque, home of the Ka'aba in Makkah. Turn then your face in the direction of the Sacred Mosque. Wherever you are, turn your faces in that direction. The people of the Book know well that it is the truth from their Lord (2:144). It is believed that having a Qiblah gives Muslim worshipers a way to achieve unity and focus in prayer. Although the Qiblah faces the Ka'aba in Makkah, it should be noted that Muslims direct their worship only to Almighty God, the Creator. The Ka'aba is merely a capital and focal point for the entire Muslim world, not a true object of worship. When possible, mosques are constructed in such a way that one side of the building faces the Qiblah, to make it easier to organize worshipers into rows for prayer. The direction of the Qiblah is also often marked in the front of the mosque with an ornamental indentation in the wall, known as a mihrab. During Muslim prayers, worshipers stand in straight rows, all turned in a single direction. The Imam (prayer leader) stands in front of them, also facing the same direction, with his back to the congregation. After death, Muslims are usually buried at a right angle to the Qibla, with face turned to face it. 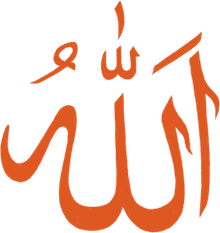 When traveling, Muslims often have difficulty determining the Qiblah in their new location, although prayer rooms and chapels in some airports and hospitals may indicate the direction. Several companies offer small hand compasses for locating the Qiblah, but they can be cumbersome and confusing for those unfamiliar with their use. Sometimes a compass is sewn into the center of a prayer rug for this purpose. In medieval times, traveling Muslims often used an astrolabe instrument to establish the Qiblah for prayers. 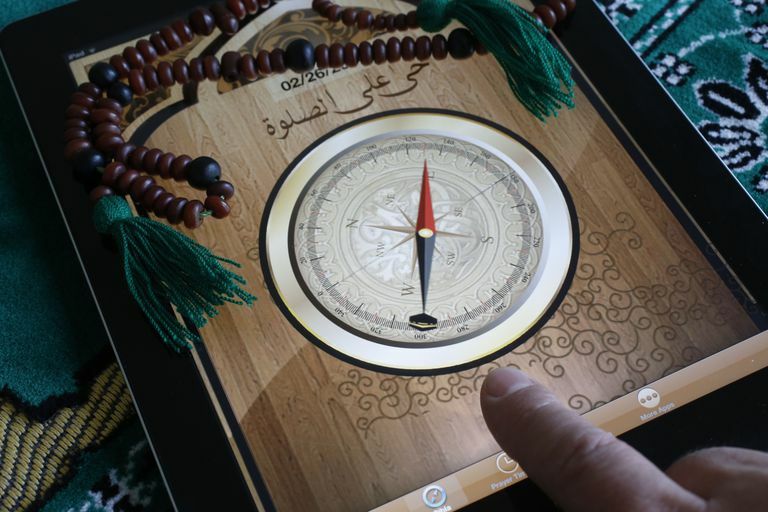 Most Muslims now determine the Qiblah location using technology and one of the smartphone apps now available. Qibla Locator is one such program. It uses Google Maps technology to identify the Qiblah for any location in a user-friendly, fast and free service. The tool quickly draws a map of your location, along with a red line towards the direction of Makkah and makes it easy to locate a nearby road or landmark to orient yourself. It's a great tool for those who have difficulty with compass directions. If you simply type in your address, US zip code, country, or latitude/longitude, it will also give the degree direction and distance to Makkah.